While the rest of his classmates are settling into their second week of coursework, George Perez will be in the heart of the Indian Ocean getting ready to slide under the sea. As captain of the U.S.S. 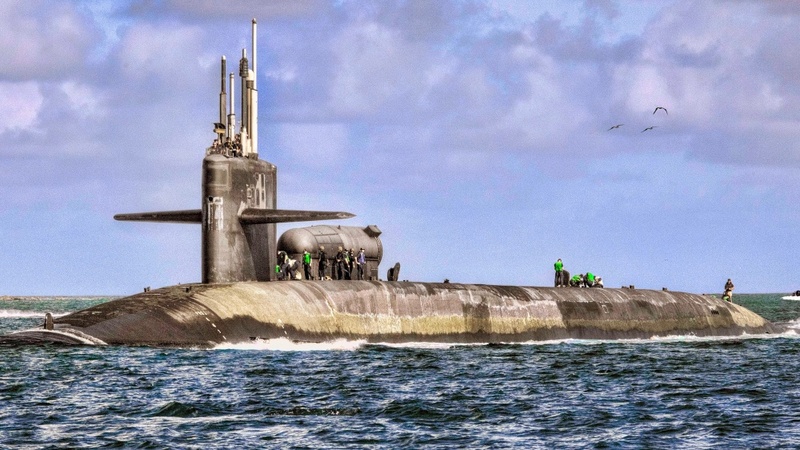 Georgia, an Ohio-class submarine that carries up to 154 Tomahawk guided missiles, Perez and his crew of 174 officers and sailors will begin another mission, one that might last the typical four months underwater — or might not. “I’m not at liberty to say,” he says with a slight, sincere laugh. Either way, it will be some time before Perez is back at work on his master’s degree in applied information management at the UO’s Portland campus, but because of the flexibility of the online program, Perez can jump right back in as soon as he’s back on shore. In large part, it’s the program’s design that first attracted Perez, who has spent the last 31 years in the Navy’s submarine force. Off the ship, a typical day will see him putting in eight to 10 hours leading his crew through extensive training preparing for their next mission, then driving 70 miles to his home in Florida to spend a couple of hours with his family before logging on to his computer to discuss class assignments with fellow students and the professor. Chances are, he’s not the only one who is thousands of miles away from the UO Portland campus, whether he’s on dry land or submerged. Perez, who has a bachelor’s in electrical engineering from the University of Texas and an MBA from the University of Florida, was looking toward his future when he was considering the information management program. 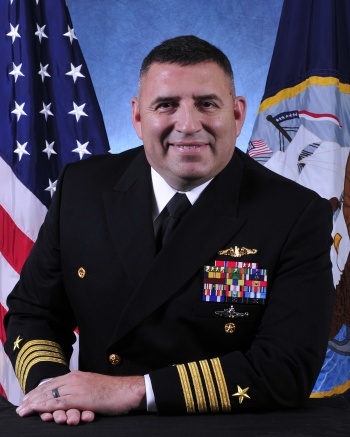 With 31 years in the military, he has several more to go until he reaches retirement; if he attains the rank of admiral, he’ll stay in the Navy, but if things take a different route, he’ll have another master’s degree under his belt. What he decided to pursue, he said, was an area that wasn’t a particularly strong suit of his. And that is good news for Perez, who expects to graduate sometime in 2019. He plans on flying to Portland to celebrate. “It will be the first time I’ve been on campus,” he said with a chuckle.